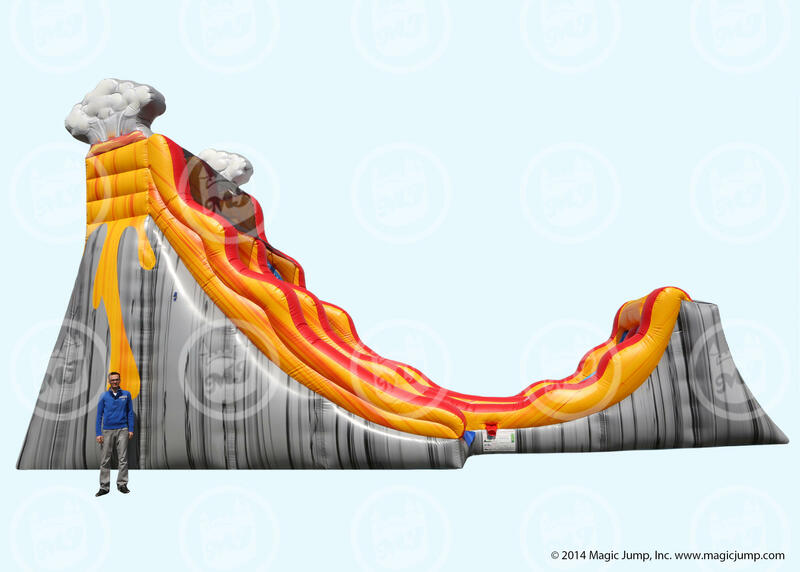 Escape the heat with this 25' tall dual lane Volcano Lava Water Slide! 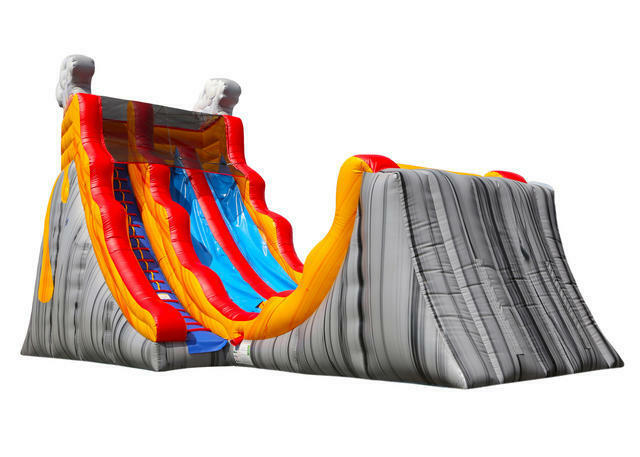 When you rent this one of a kind waterslide, you'll experience the unique U turn style slide. Climbers go up the 25' climber, 2 sliders get ready at the top and rocket down through the refreshing mist. 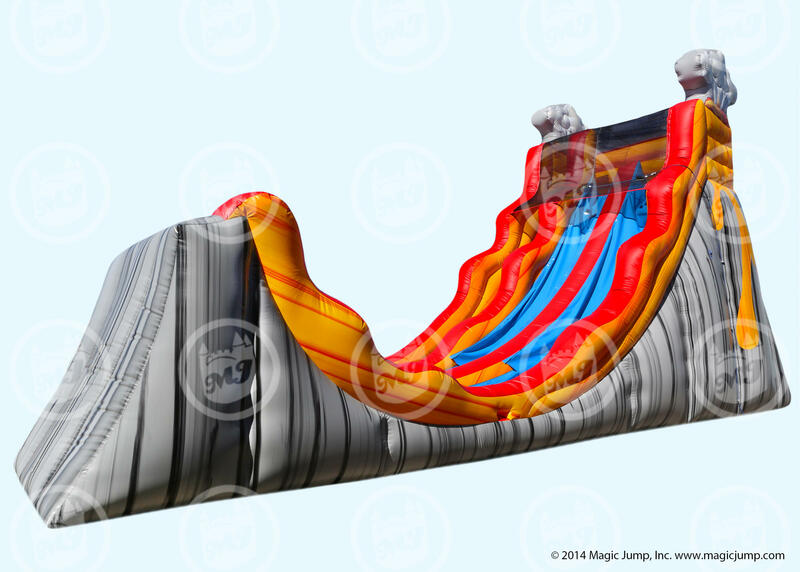 When they reach the bottom, the riders will slide back up in a unique U shape slide, slowing their speed and bringing them to a stop.